Shotokan is the most widely practised form of traditional karate. The deep stances and range of strong techniques of this once secret martial art were first demonstrated by Master Funakoshi Gichin at a physical education exhibition hosted by the then Japan Ministry of Education in 1922. So impressed were the audience that in time, karate was incorporated into school curriculum and spread widely throughout higher education establishments. 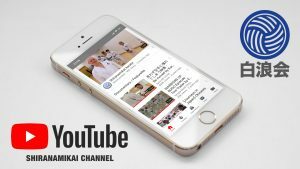 Heir of the Shotokan lineage, The Japan Karate Association has applied sports science and body mechanics to gain maximum efficiency of technique, resulting in the development of a refined and unique ‘JKA Shotokan’ style, evidently distinguishable from all other karate schools. Their methods of training apply an equal measure of kihon (basics), kata (forms) and kumite (sparring) to develop a range of powerful and dynamic techniques. But the teaching extends beyond the purely physical elements of practice. In true karate the body, mind and spirit are developed simultaneously. 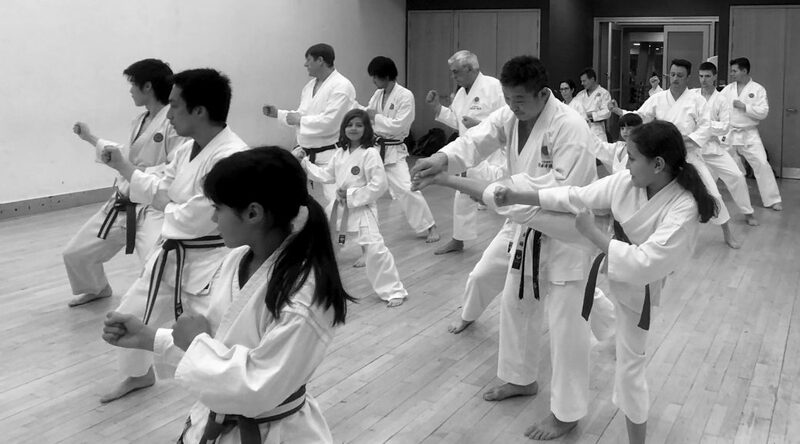 At its headquarters in Tokyo, The JKA employs a constant core of around 25 full-time instructors, under the lead of Ueki Masaaki 9th Dan, Shuseki Shihan (Chief Instructor). Selected from among the top exponents amongst peers, each has undergone an intensive training course and will have between 10 and 60 years-plus experience. Along with its governing board and technical committee, through the JKA World Federation, the roots of JKA Shotokan karate branch out across more then 100 countries worldwide. It is the mission of the JKA World Federation to promote the benefits of karate globally. Significantly, The Japan Karate Association is the only independent karate association awarded special rights and legal status by the Government of Japan to operate as an association of members (Shadan Hojin) for the promotion of karate. The Japan Karate Association in England (JKA England) is an organisation intent on the development, teaching and promotion of authentic JKA budo karate nationwide. The Chief Instructor is Ohta Yoshinobu 7th Dan. Ohta Sensei is a graduate of Takushoku University which has a fierce reputation for producing some of the best karate-ka. After graduating, he was accepted onto the famous JKA Instructor Course. It was around this time that Enoeda Keinosuke (1935-2003) 9th Dan and head of JKA Europe was looking for a new assistant instructor and Ohta Sensei was officially selected for this role in 1982. 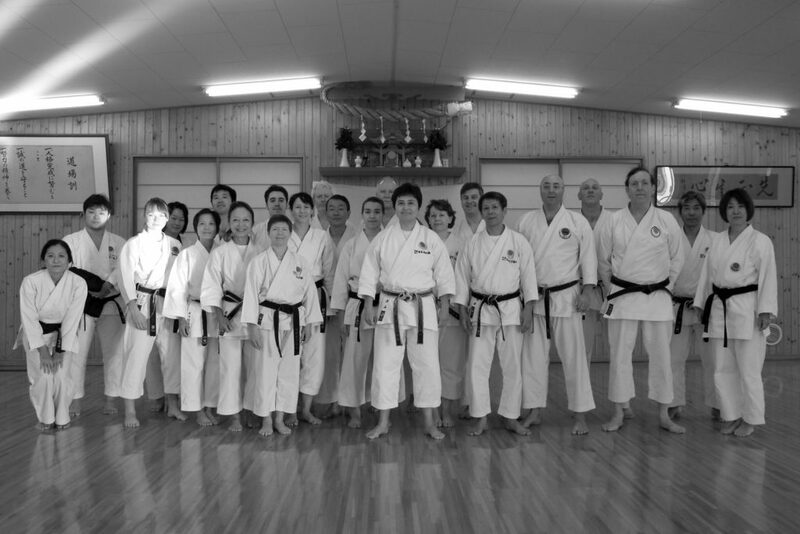 Over the next 20 years, Ohta accompanied Enoeda Sensei in teaching karate all over the world. During this time he became a popular instructor, highly regarded for his exceptional technical ability and engaging teaching methods. Following Enoeda’s untimely death in 2003, Ohta Sensei established The Japan Karate Association in England in order to cement the karate relationship between Britain and Japan, and continue the lineage and direct flow of information and education. 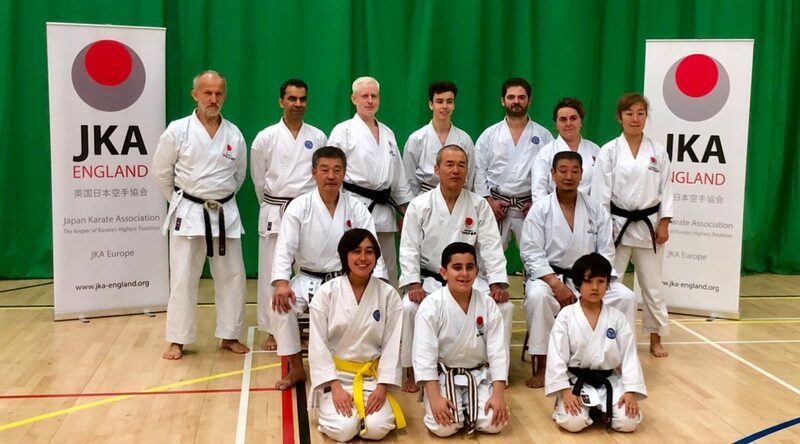 Training courses organised by The Japan Karate Association in England are a great supplement to regular training, offering the chance to be inspired by some of the best karate instructors in the world. At national courses you will be taught by Ohta Sensei, assisted by other instructors from JKA England’s Technical Committee. But 2-3 times each year, our association invites senior instructors from the Headquarters in Japan and around the world to teach alongside him. At these 3 to 4-day international courses, many people choose to board near the venue to make it easier to attend each session. These gasshukus are world-renowned and you’ll see many visitors from across the world in attendance. That we have received 90 karateka from Norway on one occasion is testament to their popularity! 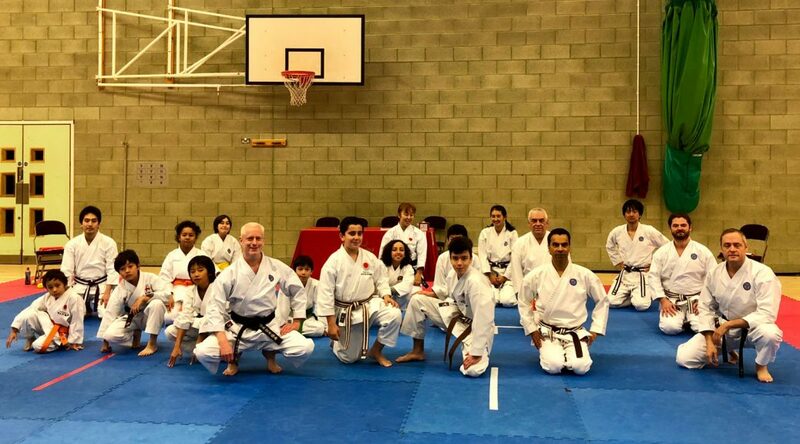 JKA England organises two championships annually, held in summer and autumn. Here, you can compete for your club, Shiranamikai. Competitions are not compulsory but are a great incentive to set personal goals and measure progress. Students who are very keen and perform consistently well across brown/black belt categories at competition, may be put forward by their instructor to attend a JKA England squad training session. Squad sessions run approximately every two weeks and those who are selected are expected to attend each one in addition to regular club training. Those selected for the squad have opportunities to compete at international level and receive assistance travel, sponsored by the association.